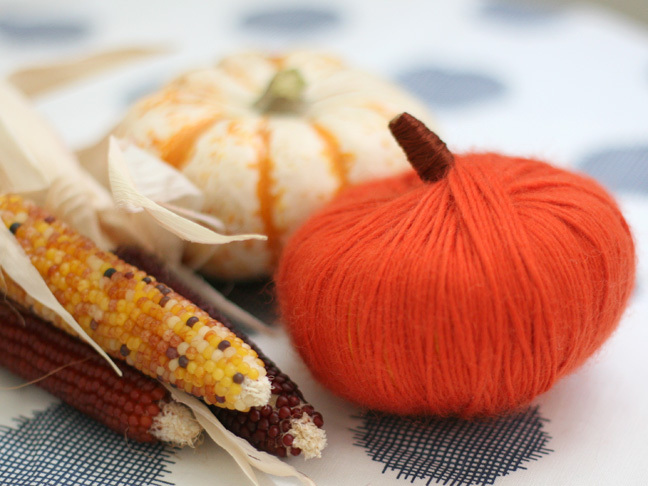 Last-minute Thanksgiving table decor is always a bit of a scramble around my house—but I like to have a few projects up my sleeve that my kids can help me with that look great on the table. 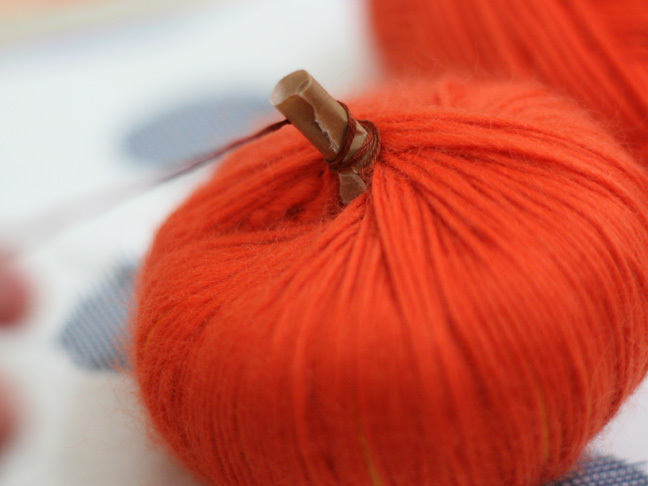 Cozying up mini pumpkins with yarn is one craft I like to delegate to my kids. 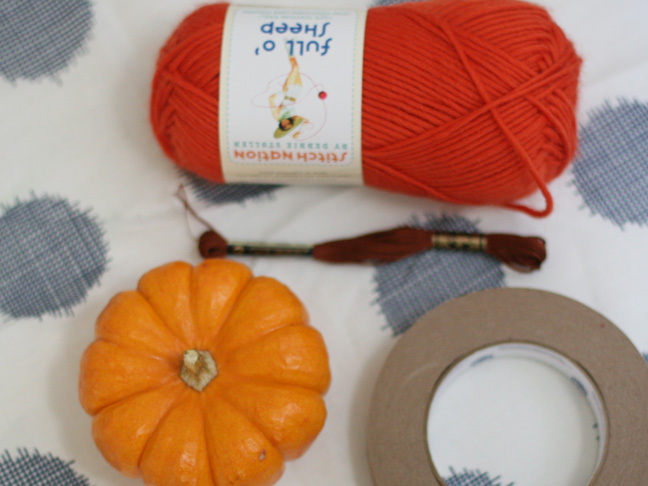 With no cutting involved, it’s easy to set them up at a craft table to make these Thanksgiving yarn pumpkins while I figure out my Thanksgiving meal game plan. 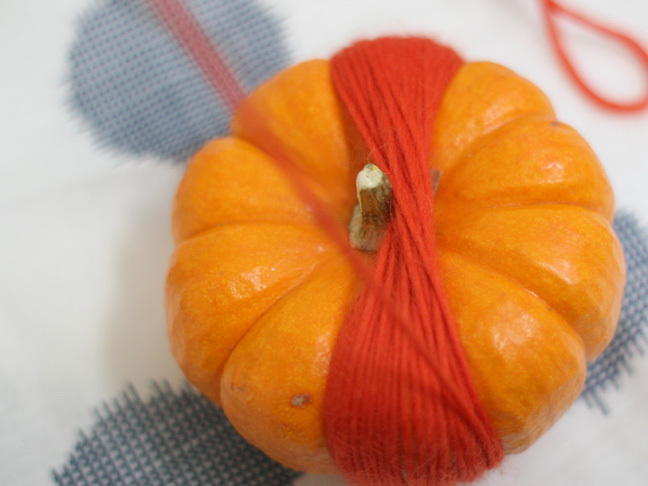 Step 1: Using a very small piece of tape (just enough to hold the yarn in place) secure the yarn to the stem, and start to wrap yarn around the pumpkin in one of the grooves. Step 3: Keep going! The middle will get higher and higher. That’s okay! It should take about 15 minutes to wrap the whole pumpkin. 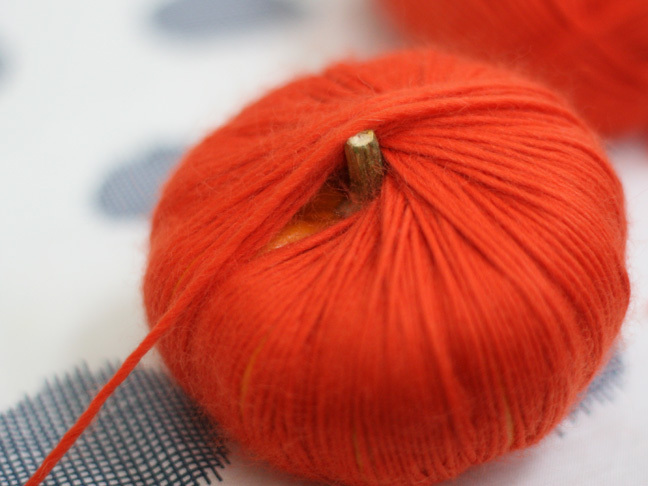 Step 4: When the pumpkin is fully all wrapped, there will be a little gap where the end meets the beginning. Simply stuff some extra yarn in there to fill it up. 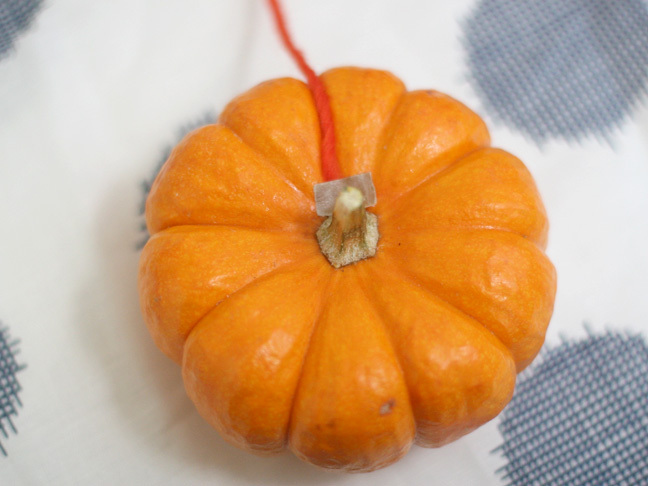 Step 5: (Optional) If your pumpkin has a longer stem you won’t need to do this: tear off a piece of tape and start to wrap it around the stem to make it longer. 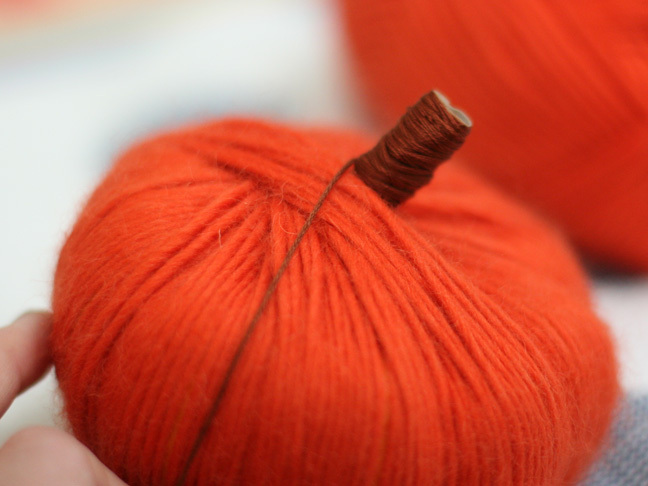 Step 6: Once the tape is wrapped around the stem, wrap the brown embroidery thread around the stem. 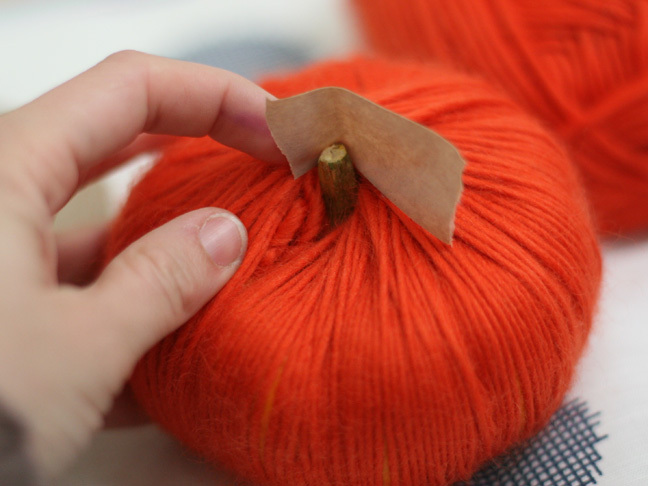 Keep it in place by tucking the end of the thread inside the tape. 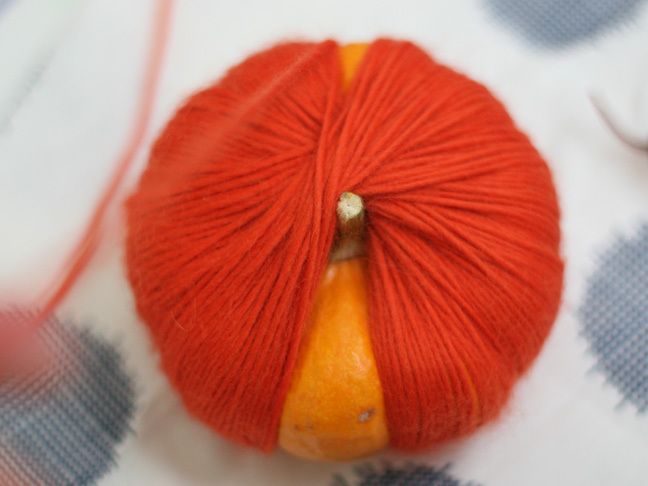 If you didn’t use the tape to extend the stem, use a small piece at the bottom to secure the brown thread to the stem. Step 7: Keep wrapping the stem until it is fully covered. Then, cut and tuck the end underneath.